Who makes the best Kukuri? Discussion in 'Knife Reviews & Testing' started by Surleyone, Oct 20, 2015. HI's the place to go to if you're looking for an original. But Becker just released the Reinhardt Kukri if you want something a little more modern. Either way, you can't go wrong. Thanks Now I just have to decide which one I want. With all the different types and models, saying you want a kukri is as open ended as saying you want a knife. What are you looking to do with the kukri? Light chopping, heavy chopping, martial arts, wall hanger, etc.? I think the best kukri in terms of craftsmanship may be the Busse Combat Killa Zilla http://www.ebay.com/itm/Busse-Comba...opper-Survival-Knife-Never-Used-/331532695294 The only drawback is the weight - it weighs in at 32 oz. which is great for chopping wood but makes the KZ slow as a weapon unless you are built like a power lifter. I had a KZ and ended up selling it due to the weight issue. 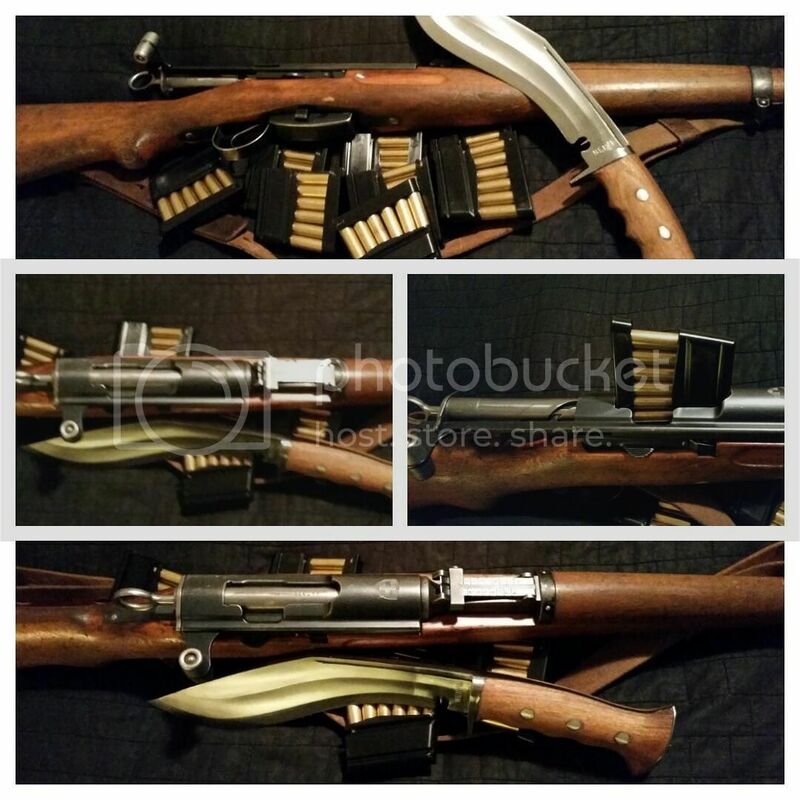 I have thought of getting the Busse Custom shop to make me a 5/32" version of the KZ which would make the weight more manageable compared to the 1/4" thick original. What makes you want to get a khukuri? Have you try one at least? I recommend you go for a Sirupate and aim around 18-21" @ 17- 25 Oz. As time goes you should get a feel of what you want. Never played with a legit kukri but the Ontario Kukri and the new BK21 kukri are both great products. Fox Knives of Italy makes some Fox Extreme Tactical Kukri with N690 stainless steel weighing just under a pound. About $150. For me it's this Camping Kukri in differentially hardened 5160 steel from Tora Blades in England. Bought it in 2009 and it's still in use today. Lightweight (510 grams) and nimble thanks to a perfect balance, and also really good edge holding. I have come across the Gurkha Kukri at Windlass Sword Company in UK. I'm proud to own my Cold Steel Gurkha Kukri in Carbon V.
I'm willing to bet that, ounce per ounce, there isn't a superior production kukri if we're talking performance. This is for two reasons: the steels used and the handle. Cold Steel and Kabar make the only kukris I've seen with shock-absorbing rubber handles (though I prefer the shape, sheath and steels of the Cold Steel models). I would much rather this than any other kind of handle if I have to deal with the shocks that a kukri would generate upon striking wood or under other kinds of the hard use one might put a kukri to. Yes, they make bigger kukris with more chopping power. I'm even less enthusiastic about those with their wooden handles and the shapes I often see them in. A Kukri is more than just a pattern. It's a part of a particular culture with a long history of design refinement plus a specific type of sheath and accessories. 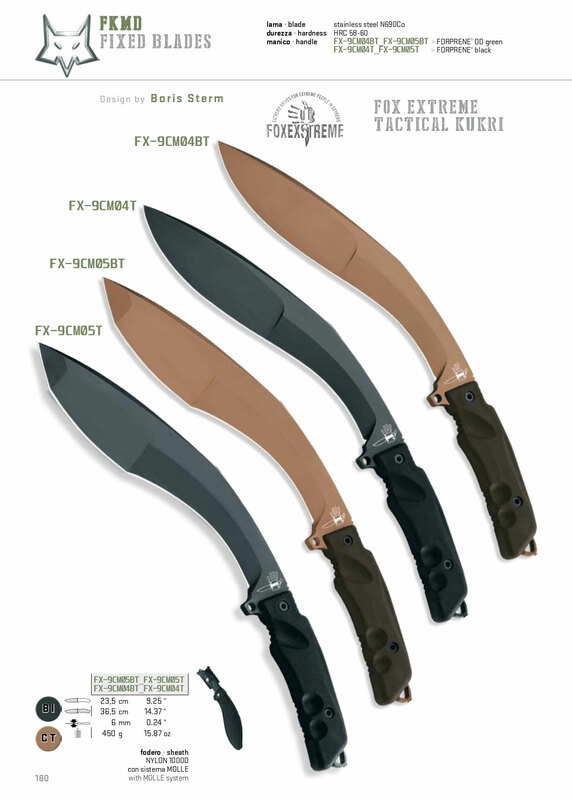 I'd get a working kukri from Nepal or India. The rest are not really kukris. This. I've not had a chance to try the new BK21........but Cold Steels Gurka Kuk is going to be extremely tough to beat. I'm tempted to try one of those. This one! When you go for a kukri you have to check weight and balance, this fox is light and cut like a boss! Good price too. Bill Siegle makes some nice ones as well. If you want a tool for chopping wood, the HI's are nice, but often need a little work on the handle, and sometimes the heat treat can be spotty. But dollar for dollar, they are hard to beat. If you want a weapon, the CS is also hard to beat. It has great geometry for that sort of application. A caveat to my previous post. HI makes kukris that are bigger, thicker, longer, and will obviously offer superior chopping power to the Cold Steel Gurkha Kukri because of that. They are also differentially hardened for shock resistance and overall durability. They're exemplary blades. The Cold Steel kukri's handle and sheath is still much better IMO, and it's a lot lighter. If I were to carry a bigger blade than that backpacking or in some sort of emergency situation, I'd pick a machete. Just my preference. So, overall, OP, I think the answer to your question is a matter of preference; kukris come in all shapes and sizes. The best khukhris are made by the Ex Gurkha House in Nepal- fast shipping, made exactly as they have been for centuries by those who use them best- I have several from them now and will buy more. They make them for the Ghurkas in the British Armed Forces. 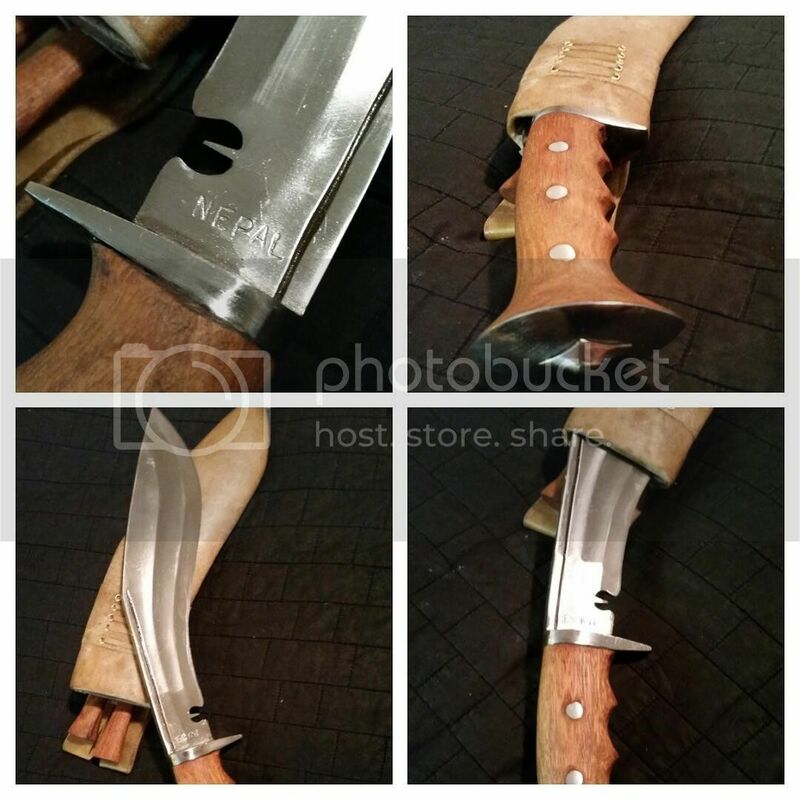 The design of the kuhkrhi relies on its weight as much as edge, being light weight likely appeals to most "murikans" simply because why actually carry or work out...however, at 2lbs the following blade is perfection and I would put it against any cold steel/etc knockoff any day of the year. I bought a couple dozen from Himalayan Imports, the best to me. Made in Nepal like the others but the prices are better and the service is outstanding from HI. I bought Cold Steel, Al Mar Pathfinder, the Mach AX, (now made by another company) and the Blackjack Reinhart back in the 80's.